APJ Abdul Kalam is an Indian politician scientist who took place the India in highest position among the South Asian countries by inventing nuclear bomb. He comes from a humble background where his father was a boatman. Following the great achievement in the field of science, he concentrated in politics and became the 11th president one of the largest countries of the world. Born Avul Pakir Jainulabdeen Abdul Kalam on October 15, 1931, in Rameswaram, Ramnad, Madras Presidency, British India. 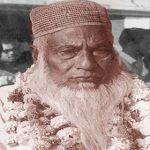 He was the youngest of five children born to Jainulabdeen and Ashiamma. His father was a boatman and mother was a housewife. 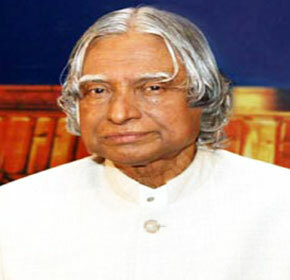 Kalam worked as a paperboy to support his family at early childhood. In his school days, he was not so brilliant student and had an average grade. It is an example that anyone can do better by hardworking so Kalam achieved a brighter career in life later. Kalam spent hours on studies, especially on mathematics. He went to Saint Joseph’s College, Tiruchirappalli, and an affiliate college of Madras University after completing education from Schwartz Higher Secondary School. In 1954, he completed graduation in Physics the institute. Following the year, he moved to Madras to study aerospace engineering in Madras Institute of Technology. He was working on a senior class project in MIT, the dean was dissatisfied with his working progress and threatened him revoke his scholarship unless his work was finished within the next three days. By working hard he met the deadline. Later the dean said to him, ‘’I was putting you under pressure by forcing to meet the difficult deadline’’. He was failed in an exam to become a fighter pilot, he placed in ninth qualifiers, and only eight got the chance. APJ Abdul Kalam kicked off the career journey as a scientist, although previously he worked as a paperboy, writer in newspaper etc. He was a member of the Defence Research & Development Service (DRDS). In 1964, he visited NASA’s Langley Research Center. Project Devil and Valiant, directed by Kalam successfully developed ballistic missiles. 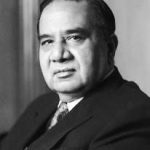 He was the director of India’s first native rocket program and became part of the successful launch of SLV3 ROHINI-one of India’s great achievement. Kalam was the mastermind behind first nuclear bomb- the Pokhran test caused India to gain recognition alongside other military giants. Then he became a part of the launch of PRAMOD ROCKET. Abdul Kalam was elected India’s 11th president, succeeding K.R.Narayanan. He won 2002 the presidential election getting 9, 22,884 electoral votes. Kalam invited his 50 relatives to come to Delhi and stayed at the President House. But he ensured the expenses were incurred by his relatives during their living was paid back to the government, which no other president has done. His relatives still belong to the middle class that is the proof of his honesty. He never rejected any gifts so as to not disappoint the gift giver, later handed them over to the museum. 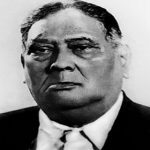 Being a Muslim president, he never gave an Iftar Party; instead, he asked his cabinet to donate his salary and the budget allocated to the orphanages. Kalam never failed to send a part of his salary back home, until his death. He never used government funds for personal purposes. Kalam never took any vacation, instead, he used his free time with Indian army and students. Even after his retirement from ISRO and other work, he spent his time with students. He wanted India to be a developed nation by 2020, to follow the dream India 2020, he motivated cores of youngsters. His former driver is a history professor at a college now. Kalam continues to inspire people through his quotes and books, which are sold and quoted by millions. He dedicated whole life to the nation. Born in the south, Galvanized in the west, lead India from the north and left the US from the east. Abdul Kalam leads a simple life, even he never owned a television. He had a habit of rising at 6:30 to 7:00 a.m and sleeping by 2 a.m. He left no will and few personal possession include books, veena, some clothing, and a CD player. He didn’t marry due to the intention of serving the people. Kalam died on July 27, 2015, in Shillong, India during delivering a lecture on ‘Creating a Livable Planet Earth’. The entire nation, from Kashmir to Kanyakumari irrespective of language, religion, and political affiliation united to mourn for this man. the main thing is that he was a muslim and all muslims are alwys honest to the work, to their nation and their country. He wasn’t a Hindu but a True Muslim. He did his best to realize India that he should not be so cunning and bad.He served his whole life for India being Muslim but India is still showing white feather by not solving the issue of Kashmir peacely.